It’s official. School has started and I am not there. It’s a weird feeling. I went to Missouri State University. I hadn’t really considered going any where else because it was far enough from home to feel independent and close enough to visit when I wanted as well. I did my research, applied for scholarships and talked to my parents about my financial ability to attend this school. Ok, so that was a boring background story. The point is that I choose the school that felt right for me but on Tuesday, National Louis University is helping people choose their college in a completely innovative way. National Louis University will offer a Groupon featuring 60 percent off tuition and will cap off at 15 purchased. Offering this Groupon will allow students a discounted price on one introductory course designed for students to experience teaching and see if teaching is a good fit. On one hand, your only offering 15 to be purchased, so why not just offer a scholarship so someone who is really serious about teaching has the opportunity to fully experience National Louis University? On the other, it does get them in the door! 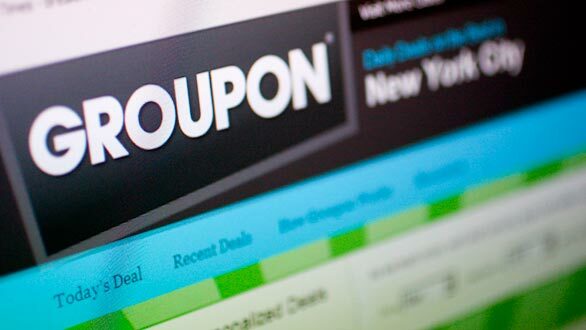 Just like Groupon’s restaurant deals, it discounts part of your meal, but you won’t go alone, and since it is discounted, you might as well get an appetizer! Suddently, the amount of money you actually spend is much higher than originally intended-or maybe I’m just a bad coupon strategist. I also wonder, how the Groupon differentiates between people who might be stifled by financial burden, or are afraid to explore the idea of college, versus those already enrolled, or planning to enroll, and are just looking for a less-expensive credit hour? This has never been done by a university before; however, a lot of online and for-profit universities have begun offering free trial periods or even 100% free classes in attempts to obtain exposure and to get people interested in education. I suppose, even if one person utilizes this Groupon and goes on to be a great teacher it was worth it. What do you think? Will other universities follow National Louis University?